Police on Monday arrested a local man accused of breaking into an Ohio Street restaurant, then fleeing the business when the owner arrived, authorities said. The owner of Pho Hoa Grill, at 213 Ohio St., arrived at the business around 7:20 a.m. to find a man inside, “allegedly destroying property,” according to Sgt. Wade Betters of the Bangor Police Department. The suspect ran away just before police arrived, although the cops were able to identify him as Joseph LandryNelson, 24, using security camera footage, Betters said. Officers found him walking outside shortly after the break-in and, after finding items apparently taken from the restaurant on his person, placed him under arrest, according to the sergeant. Betters declined to say what he allegedly stole and whether the crime was related to another break-in at the restaurant earlier this month, which the restaurant referred to on its Facebook page. 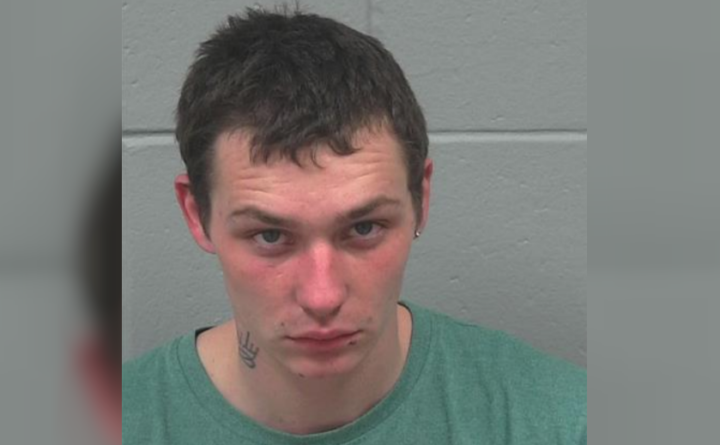 LandryNelson of Kenduskeag is facing several charges related to the break-in, including burglary. Police have also charged him with drug possession, after officers reportedly found him with illegal drugs at the time of his arrest. His bail has been set at $1,060, Betters said.